SANTA BARBARA, CA, UNITED STATES, June 12, 2017 /EINPresswire.com/ -- CEO Landon Ray and President Lena Requist of ONTRAPORT, a leader in marketing automation software for small businesses and entrepreneurs, were honored with gold awards for excellent leadership as presented by the Silicon Valley United States Awards (SVUS Awards) . Landon Ray, ONTRAPORT’s CEO, has been announced as one of the winners in the prestigious CEO World Awards® in the Cloud Computing/SaaS Industry. 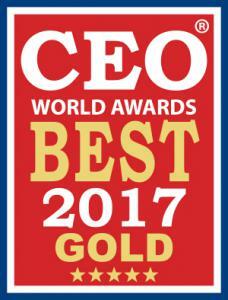 The coveted annual CEO World Awards program encompasses the world’s best in leadership, innovation, organizational performance, and more from every major industry in the world. Organizations from across the globe are eligible to submit nominations including public and private, for-profit and non-profit, largest to smallest and new start-ups. Additionally, Lena Requist, ONTRAPORT’s President, has been announced as one of the winners in the prestigious Women World Awards® in the Cloud Computing/SaaS Industry. 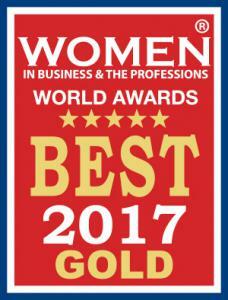 The coveted annual Women World Awards program encompasses the world’s best in leadership, innovation, organizational performance, and more. Landon Ray, ONTRAPORT’s Founder and CEO, is a serial entrepreneur whose personal mission is to educate, motivate and enable others to realize their goal of starting and growing their own business. At the age of 25, Landon transformed himself from a street-corner flower vendor into one of the nation’s top securities day traders in only twelve months. After beating the odds on Wall Street, and again during the great recession, Landon used his research and personal experience to create ONTRAPORT, a small business automation platform and related family of services, which reflects his passion for educating and supporting entrepreneurs. Lena Requist, President of ONTRAPORT, is passionate about growing businesses and was the driving force in ONTRAPORT’s 5,000% growth, which landed the organization on Inc. 500’s list of America’s Fastest Growing Companies for four consecutive years. The recipient of a 2017 Silver Stevie Award for Executive of the Year in Computer Software, Lena’s impressive background of building startups into multimillion dollar companies has made a difference for thousands of small business owners. She has fostered a progressive company culture of productivity, empowerment, and free thinking, for which ONTRAPORT continues to receive countless awards. For over a decade, ONTRAPORT has been a leader in marketing and business automation software for small businesses and entrepreneurs. Our mission is to support entrepreneurs in delivering their value to the world by removing the burden of technology, and we deliver on that mission by creating software, offering services, and educating the entrepreneurial community. Learn more about ONTRAPORT at www.ontraport.com.